The sense of disillusionment that grew among men across Europe and America in the nineteenth century has been called many things – a crisis in masculinity, the mal de siècle, even a psychological disorder called neurasthenia – but as a phenomenon it has gone largely unexplored outside the Western context. Masculinity and Modernity in 19th-Century Russian Painting explores this phenomenon by investigating how artists in the Eastern European centers of Moscow and St. Petersburg represented the lives of men as they underwent the cultural upheavals of the nineteenth century. Taking a vital new approach to this topic, Masculinity and Modernity explores how Russian painters sought to depict the new psychological struggles associated with contemporary life. Close readings of individual paintings and some of the first translations of selected artists’ writings are interwoven with the environments of class upheaval and political change in which they were produced, forcing a reconsideration of a cultural center long considered peripheral to Western European discourse. 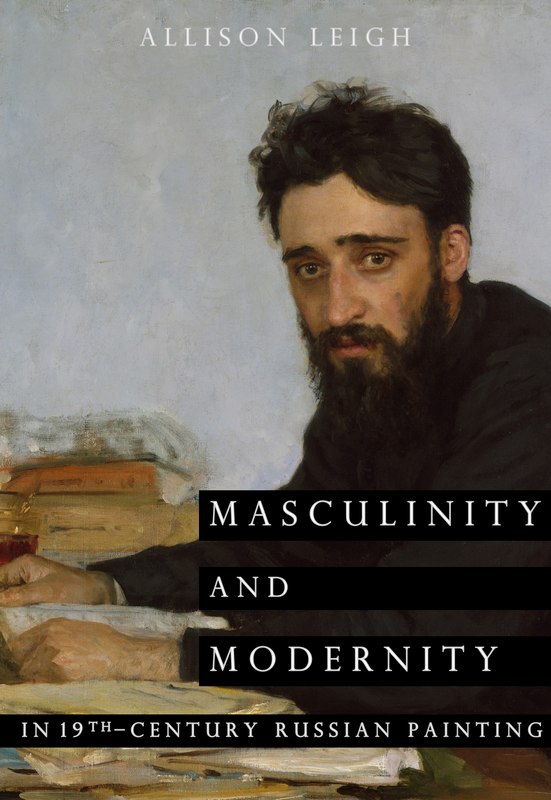 In examining the artistic production of Russian artists, this groundbreaking book challenges some of the enduring myths of masculinity and provides a fresh interpretive history of what constitutes modernism in the history of art. "Blood, Skin, and Paint: Karl Briullov in 1832"
"Men’s Time: Pavel Fedotov and the Pressures of Mid-19th-Century Masculinity"
"Between Communism and Abstraction: Kazimir Malevich’s White on White in America"
"Ilya Repin in Paris: Mediating French Modernism"
"Russian Occidentalism: The Hybrid Self in Eighteenth-Century Russian Portraiture"
"Almost There: Jersey Women Artists Now"
Essay in Contemporary Visions: Jersey Women Artists Now, George Segal Gallery, Montclair State University, 2014. "Future Ruins: Time, Memory and History in the Work of Komar and Melamid"